The testimonials described here are healings reported from across the world by using Reconnective Healing. Healings from Gitte's practise can be found on the Contact page. If you have a Reconnective Healing testimony that may encourage others to seek Reconnective Healing treatment, please feel free to submit it at the end of the page. You could potentially help someone save their life. This letter was forwarded to the discoverer of Reconnective Healing, Dr. Eric Pearl, and posted on his website. My name is Dr. Xavier Guzmán, I live in Oaxaca, Mexico, I am a 47 year old surgeon with a private practice for more than 20 years. I was introduced to Reconnective Healing about two years ago. As a physician I have recorded the restoration and health of my patients with sustained healings from frequency studies. I will start with a most spectacular healing that happened immediately after receiving Reconnective Healing training in Mexico City. I received a call from a woman, she wanted to set up a consultation with her husband Manuel. The despair in her voice forced me to react quickly. At that time I was still at the airport and told her that I could meet with him in 2 hours, that Sunday afternoon. My office is located on the second floor. My patient arrived and was carried by two people on either side of him. He could not stand on his feet, one step would cause a strong attack of rheumatoid arthritis. He also had systemic of immune nature and diabetes mellitus. Manuel was 55 years old and had suffered a similar attack in his youth, which left him bedridden for a period of 6 months. Manuel’s family helped him sit and he showed me his clinical pathology reports. Manuel had seen many doctors and was currently in the care great specialists: an oncologist, and two rheumatologists. Manuel was on prescriptions issued by his doctors but was looking for therapeutic resources. Manuel had a pleading look on his face, and sad sunken eyes. I shined a light in his mouth and saw swelling. He also had very stiff joints and couldn’t even give me a handshake. Manuel said, “Doctor, I have not slept for a month because of the intense pain, fever, and chills. Despite all the medicine that has been prescribed to me by specialists." 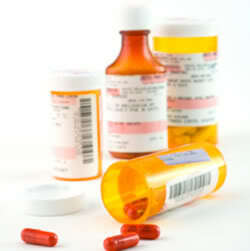 (Anti-inflammatories, analgesics, steroids, drugs modifying disease, and immuno-suppressives). He also had diabetes with his Glycemia at 400 mg. He was a difficult and complicated case, and I did not know what else to give Manuel. So I thought to myself, “why not, let’s see if this works,” referring to the recent Reconnective Healing training I had just learned. I explained Reconnective Healing to Manuel and his family and that I would like to try it on him because the prescribed drugs have been ineffective. They agreed to give it a try. Manuel sat during the session, which lasted no more than 15 minutes. At the end of this time Manuel opened his eyes and reported a very nice light and heat went through his body from head to foot and his pain had decreased 30%. I suggested he discontinue any medication and his family accepted. I proposed I would do some more sessions and then in a few days I would run some lab tests. The next day, Monday, walking upstairs to my office was not as hard for Manuel, and he only needed one person to help him up. He extended his hand and told me last night was the first night that he could sleep 4 hrs consecutively with almost no pain. He also said his shoulder range of motion substantially improved by 20%. I did another session on Tuesday and again on Wednesday and Manuel showed steady improvement each day. On the third day, Wednesday, his glucose was now 320mg. On Friday, it dropped to 220mg, he walked up my stairs with no assistance, and when he got to the top he squeezed my hands when greeting me, with a broad smile. Manuel had an 80% recovery, and his vitality and energy returned almost to normal. Manuel was also able to sleep most of the night. The next week Manuel returned to work, and all his laboratory levels were normal just 10 days after his last healing session (including immunological markers). Manuel is now healthy with no symptoms of lupus or rheumatoid arthritis, and his diabetes has stabilized. I was amazed. I think the future of medicine is this, the management of energy and the interaction of the patient with a new way of thinking and energy levels. Subtle, but powerful. This letter was forwarded to Dr. Eric Pearl and posted on his website. Denny is an old friend and former neighbor. When he moved back to his former home in Paradise with his wife and four children, and re-opened his Denny’s Automotive shop, we missed him terribly. Denny was always energetic and a deep thinker. After he moved, we would drive the 4 hours just to see him and have him repair our car. He was that good! When my husband and I arrived at Denny’s room, we noticed that he was a very pale yellowish/green color, very weak and very incoherent. He recognized us immediately, but couldn’t remember all of the conversations and would repeat things multiple times. Denny said he was in a lot of pain, and was given medications, which explained some of his incoherency. During our visit, he kept complaining of pain. He was very emotional and on the verge of tears several times. His new wife was at his side. I asked him if he was open to a Reconnective Healing, and explained what it was. He said he was dying and was open to anything. After a 30-minute session, he said he was very tired and wanted to sleep, so we left. The next day I got a phone call, it was Denny. He sounded great! He was cheerful and sounded like his old self. He said, “I don’t know what you did, but can you come back and do it again?” So I did. When I got to his room, he was out of bed, had his normal color back, he was laughing and joking like the “old” Denny we knew. He laughed and pointed to his chart. “Look at those white cell count numbers! The Doctor says it’s damn near a miracle, and says I can go home two days early.” I had another 30-minute session with Denny and again left him to rest. Denny called the next day and jubilantly announced that the Doctors and Nurses were totally amazed at his progress and said he could go home four days early. The Doctors just couldn’t explain it, and Denny didn’t tell them. Approximately one month later he was back in the hospital due to a bad reaction to some medication that he was given. He was examined for any sign of cancer, and “they found none.” However, they had a “long term plan for chemo,” and he was to have another chemo treatment just to be sure no cancer was hiding “somewhere.” The Doctors told him that this time it was going to be a really strong treatment and that he would feel really sick. A day after the treatment, I gave him another 30-minute session. This time he actually could feel the energy and said it made his toes tingle and wiggle. Again, the doctors and nurses were amazed at his “miraculous” recovery. “No one recovers from chemo like you have,” the doctors said. Again, he went home early with them scratching their heads in amazement. Denny continues to thrive and amaze his medical staff. The Doctor’s admit that they still have not found cancer. Dona, as you know on June 11, 2010 I was diagnosed with Leukemia and given 14 days to live without the “proper” treatment. I was admitted later that day to a Bay Area hospital to receive that treatment. I was on Death’s Door. I called and informed you as to my condition and location. You arrived soon after and we talked. You asked if I knew about Reconnective Healing. I said no. You tried to explain. I frankly didn’t and still don’t understand the Reconnective part, but I certainly had the need for the healing part sooner rather than later. I agreed to the session. I admit I felt nothing as a result of your efforts. 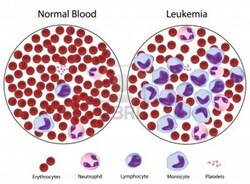 However, my blood counts rebounded faster than the nurses and doctors had seen from a guy my age (60), and arriving “late” in the Leukemia progression, my body being weakened to the point that I couldn’t walk and was losing a pound a day. As you know I was in remission at the end of two weeks of chemo-therapy and the doctor was willing to let me go home for a two week visit on day seventeen. The doctors were amazed, and I was stunned. Well, round two of chemo was a repeat of round one with one exception. When you passed your hands over my feet, it made my toes wiggle. Amazing! It’s now been three months from my first day of chemo and except for my hair loss you wouldn’t know I had been in the hospital. I don’t need to know how things work, only that they do. After being diagnosed with advanced ovarian cancer of an aggressive type in August last year, I was also told it was quite resistant to chemotherapy. During surgery in August a tumour was removed that was over 40cm in size and the cancer had spread to both ovaries, my womb, bowel and there were cysts on my liver too. I was at a stage 3C and the scale only goes up to stage 4, so things weren't looking too good with a 15-40% chance of survival for five years. I embarked on several courses of chemotherapy, but in November a CT scan showed it had little effect. I wanted to do everything possible to give myself the best chance of beating the cancer and was so very pleased when Christina was able to offer me Reconnective Healing sessions. After 3 sessions with Christina, my latest CT scan result in January showed that all the areas has shown a marked improvement and that I was now a candidate for "debulking surgery" involving a total hysterectomy and also bowel surgery for which I was warned I may need a permanent colostomy bag afterwards. I've just had this surgery and was so surprised and delighted when, not only did I not have to have a colostomy bag at all, but the surgeons said that the cancer had shrunk far more than they would have expected for a "chemo effect" and they had been able to remove ALL last areas of cancer during surgery. Among the first words I uttered were "Christina did a good job then!" They said I have had the best possible outcome not something I was expecting only a few short months ago. I will be so pleased to have more Reconnective Healing sessions to aid my recovery from the operation. I truly believe it has helped me hugely to overcome this "treatment-resistant" cancer, and laying on her very comfortable couch sure beats going to the hospital for chemotherapy!! Thank you, Christina, for playing such a vital part in my success story. I hope your ears haven't been burning too much as I have been singing your praises widely (as far as New Zealand) in every catching up email that I am sending, so wanted to take a moment to try and write a few words in the hope that they can help others to understand the magic of your Reconnective Healing abilities. - ES, Sutton, Bedfordshire, UK via Christina Cherry. Reconnective Healing has been an amazing power surge to the energy grid of my being. While I have a lot of experience with and understanding of my energy body, the three (distance) healing sessions with Katrin helped me to embody this knowledge of my true nature. The impacts are immediate and long lasting. Reconnective Healing has been a very powerful aspect of the healing of my metastic cancer on all levels of my being. My 85 year old mother has such severe osteoporosis, she has suffered five fractures in her spine and broken her hip in three places in the past three years. She was also losing weight, no matter how much she ate, and had remained at 84 pounds for well over a year. Because x-rays were showing that she wasn't healing well, and because of the weight loss, the doctors did an MRI which showed what they thought to be lymphoma. Her doctors and I agreed not to tell her this, or put her through any more diagnostic procedures, as she was too frail to survive conventional cancer treatment, and because she told me many years ago that if she ever got a diagnosis of cancer, she would "just pop a bottle of pills and end it all quickly." The best "treatment", in her case, was to just keep her as comfortable as possible with pain medication. She was in constant pain, needed assistance to bathe, used a walker to get around her apartment and was very depressed. After returning from my training in Reconnective Healing, I could hardly wait to try it on her. I was amazed as she when after the first healing session, said that all of the pain "just melted away,' and I watched her stand up straight for the first time in three years! She told me that she gained 5 pounds the following week, and now gets around her apartment without her walker 95% of the time, and needs no assistance to take care of herself. She even does her own shopping. Her x-rays the following month showed that her broken hip was "healing beautifully," she said. She hardly uses any pain medication at all anymore. When she "over-does it", because she has so much more energy now, she'll call me for another healing session. She tells me that the pain "just vanished within minutes," and she's good to go, until the next time she "over-does it"! It was amazing that my spirit guides were channelled during the session for my healing. Dawn and I both saw the guide's presence, the healing lights, sound and smells. It was a once-in-a-lifetime experience, very uplifting to me as a whole and I am now cleared of cancer! Below is an extract from Dr. Eric Pearl's book "The Reconnection: Heal Others, Heal Yourself." In September of 1991, my wife and I were blessed with a baby boy. The following month, I was in the hospital getting a total thyroidectomy. I had thyroid cancer. I was in excellent physical condition prior to surgery, so I recovered rapidly and I immediately went back to work as a self-employed contractor. As the days and weeks passed, the thought of having cancer would occasionally surface. Being a new father, however, I quickly forgot any of those concerns. I healed completely and continued to work as if nothing had ever happened. In January of 1992, as we were coming home from a wedding, my wife and I found ourselves in an evening snowstorm. As we sat at a red light, we were suddenly struck from behind by a drunk driver. We both sustained neck and back injuries which required that we had MRI tests taken (sort of an advanced form of x-ray.) One evening my doctor called and informed us that my MRI had revealed more than just herniated discs. I had a tumour in my head, located in my pituitary gland. My wife and I were devastated. We didn't know what it all meant. I was sent to a specialist in New York City who examined me and explained that 99% of the time these tumours are benign. He further stated that since this type of tumour often tends to shrink on its own, he would not operate right away. The plan was to get an MRI of my head done every six months, just to keep an eye on it. We were relieved and satisfied with his opinion, so every six months I went for my MRI and life went on. In the late winter of 1994, I began experiencing head pain different from anything I had ever known before. This was no ordinary headache. I went to a neurologist for an examination and was told that I was experiencing "cluster headaches." Due to their severity, cluster headaches are commonly known to drive people to suicide. They would come and go in flashes. I also had a steady pain up the back of my head that would literally pull the life force right out of me. The pain got so bad that I was bedridden. Eventually the pain became so severe that I returned to the neurologist. This time the neurologist himself brought me to the hospital for an emergency MRI fearing that the tumour had haemorrhaged. Fortunately, it hadn't. It had, however, grown significantly and surgery was required immediately. In May of 1994, I was scheduled for brain surgery. You can't imagine the anxiety that comes with the anticipation of having someone operate on your head. My surgery lasted three hours and the tumour was successfully extracted. Recovery was long and tiresome. Unfortunately, when you tamper with the pituitary gland, it stops functioning. Since this is the master gland that controls much of your body chemistry, I was now chemically dependent. Every day I had to take four doses of hormones and 30mg of hydrocortisone. In addition, I had to get a testosterone shot every three weeks. My doctors told me that if my pituitary gland did not regain function within a month after surgery, I could expect that it never would. It didn't. Again, my wife and I adjusted to the new routine and life went on. One day I was watching a television program about "healers." I was not familiar with alternative forms of healing and the idea interested me greatly. Since the medical world had already given up on me, I decided to pursue a healer in an effort to get my pituitary gland working again. I've never been one to go down without a fight so, even though the gland had been non-functional for several months, I was determined to find a healer and make myself whole. The search went on for over a year. In June of 1995, I was at my periodic cancer examination when my surgeon found a tumour in the right side of my neck. 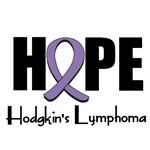 A CAT scan and MRI confirmed that the thyroid cancer had spread to my lymph nodes. Surgery was scheduled for July. I kept myself and my wife on a positive track by thinking that I would come through this operation successfully and all would be well again. My search for a healer had to be put on hold temporarily. Surgery lasted for five hours. It was a radical dissection of my right neck. Eighty-eight lymph nodes were removed and of them, 22 were cancerous. The surgery was very painful and I took almost three months to heal. Once I recovered from this operation, my search for a healer was on again. I was determined that after three major operations in less than four years, I was going to get back to normal. My search finally climaxed when NBC in California responded to a letter I had sent them regarding a show I had seen on healers. Several names and addresses were mailed to me. I reached those that I could, but the one that really made an impression was Dr. Eric Scott Pearl in Los Angeles. I was excited! My search was over. I was finally going to have a session with a bona fide healer! In November of 1995, my wife and I met Dr. Pearl. My pituitary gland hadn't been functioning for over a year and a half. Medically speaking, all hope was lost. After explaining my condition, I had a private session. It was a genuine experience. He held his hands over my head. After several minutes, I felt a tremendous heat. I finally passed out. Upon awakening, I was rather disoriented. He explained that some results tend to be immediate while others may only become apparent with time. He asked that I write or phone to let him know of my progress, as this is the only way he can keep track of things. In December of 1995, about three weeks after my session with Dr. Pearl, I started to experience new and unusual feelings in my body. My doctor confirmed my instincts that I no longer needed my medications, and, under supervision, I began to wean myself off of the drugs. After three months, I am now 95% drug free with a well-functioning pituitary. My doctor and I are hopeful that I will soon be 100% drug free. My test results are now normal. I'm feeling great. My stamina is better now than it ever was before my surgeries. My spirits are high. My wife and I are once again leading a healthy, normal life. After receiving my most recent set of normal laboratory results, I smiled and asked my physician what he now thought of healers. Following a moment's contemplation, he replied, "The only thing I can tell you is there are a lot of strange phenomena out there that I really don't understand." As time passed, medical tests continued to confirm my miraculous recovery. I contacted Dr. Pearl to inform him of my results. He was truly happy to hear of my healing. As a father and self-employed contractor, it's a luxury if I can find time to make it through the morning newspaper, let alone ponder the mysteries of the universe. Yet on the rare occasion that I do have a free moment, I often try to make sense of all the wonderful things that have happened since my session with Dr. Pearl. I've come to realize that there are a lot of strange phenomena out there that I, too, don't understand. One thing both my medical doctor and I do understand, however, is that I was healed that day through Dr. Pearl. I don't like to brag about it, I don't need to justify it, and I guess I don't even have to understand it. For the last 8+ years I have had chronic neck pain requiring frequent chiropractic manipulations. Things got even worse when I had a skiing accident and a rafting accident - adding fibrositis to an already compromised state. My condition was at an all time low this past year - chronic neck pain mainly from the fibromyalgia - always having pain on a daily basis. My experience here was nothing like I had expected but everything that I had hoped for. During the 3 sessions I felt like years of suffering and pain were being purged from my body. The last day - all symptoms of neck pain and headache were gone - also gone was me waking up with hand numbness every morning. I had three sessions of Reconnective Healing done with Dwight who is a talented and wonderful practitioner. I had amazing results physically, mentally and emotionally. My Fibromyalgia is 80% better, and a problem with my shoulder, which was to require surgery, is 100% corrected. My posture is completely straight again (I had osteoporosis). I feel happy, positive, and more like myself than I have felt since I was about 5 years old. The clarity, joy, connectedness and physical relief I experienced is truly a miracle! 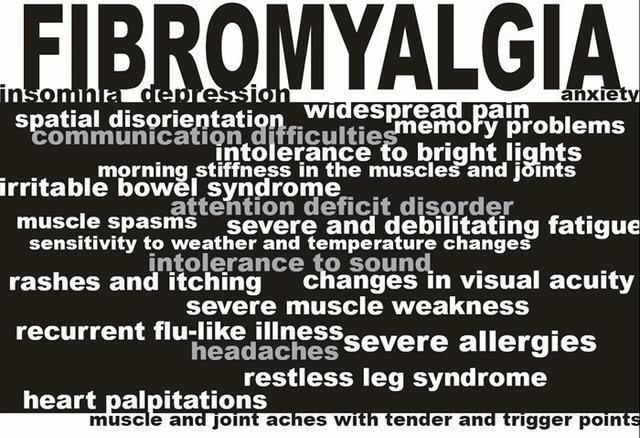 An older woman with fibromyalgia came to me and said that she was in such pain she had to sleep on a couch with pillows. She had not moved her elbow in 2 years and had surgery on her ankle a couple of months before. Her back was always in pain. After one 30 minute session, she got up from the table and bent her elbow. "Wow", she said. Then she moved her ankle around. "Wow", she said. Then she sort of moved her back from side to side. "Wow", she said. After a moment she said, "is this how normal people feel?" She told me 4 days later that her life had completely turned around and her kids and husband could not believe it". My patients are gradually having reductions in medications (I work with what was formerly an inpatient psychotic acuity). Also, stays have been dramatically shortened in chronic clients. These results are documentable and not subject to supposition as these patients have a 20-30 year database to base this statement on. Hi Christina, sorry I didn't reply to your text straight away, I have been very busy with work and my promotion (!) which I believe is down to you! Before I came to you for healing I'd had depression for 17 years. I've had lots of psychotherapy and antidepressants over the years to help deal with sexual, physical and emotional childhood abuse, but it still remained. On the way to see you that day I was physically feeling quite unwell, headache, stomach ache etc. 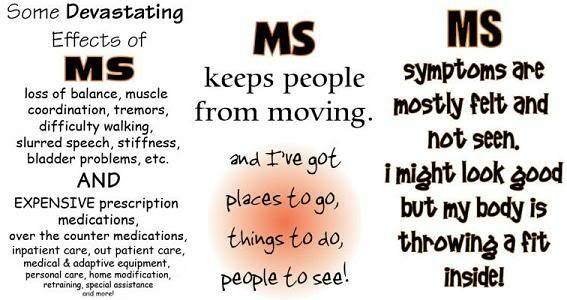 When I left the physical symptoms had gone and I wasn't sure if I wanted to party or go to sleep! When I went to work the next day lots of people commented how happy and relaxed I looked. As you said might happen, my fears and worries were still in my head but held no power over me anymore! I can still feel your "influence" now after all this time, though with work pressure and family bereavements I would like to come and see you for a "top up!" Also my fiance' would like to have a healing session. Please let us know when we can come and see you and empower ourselves. Thank you and love and hugs. My viral load had been increasing for the past few years due to a serious liver problem. I received a Reconnective Healing session from Yvonne in early April 2013. I went to the hospital in early July for a new check up of my liver and to my big surprise, the virus had gone down from 36.000 to 5.5000 and that is the lowest virus number I have had, since they started checking on me. I was quite happy and I think the Reconnective Healing and all our efforts finally had an impact on me. Now I just have to keep it low and work on healing it. I will schedule another Reconnective Healing this fall. 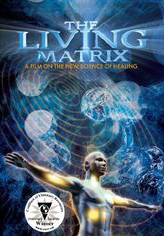 In the first five minute segment of The Living Matrix DVD, 5 year old Demetrio from Greece is healed from Cerebral Palsy through the use of Reconnective Healing.